Our claw cranes are purchased brand new and are extremely reliable. We maintain parts so in the event of a failure, we can respond quickly and return your machine into service. 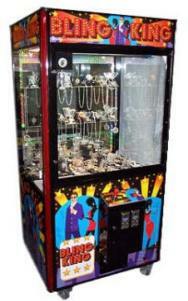 Our claw cranes are merchandised to maximize your profits and increase player satisfaction. We run an extreme amount of licensed products in our cranes to produce maximum revenue. 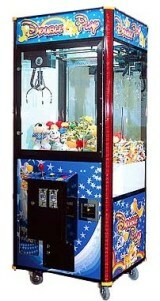 We operate cranes with plush, balls, jewelry, and also double claw cranes with a play until you win candy feature.